These guys weren’t part of my plan for the day! 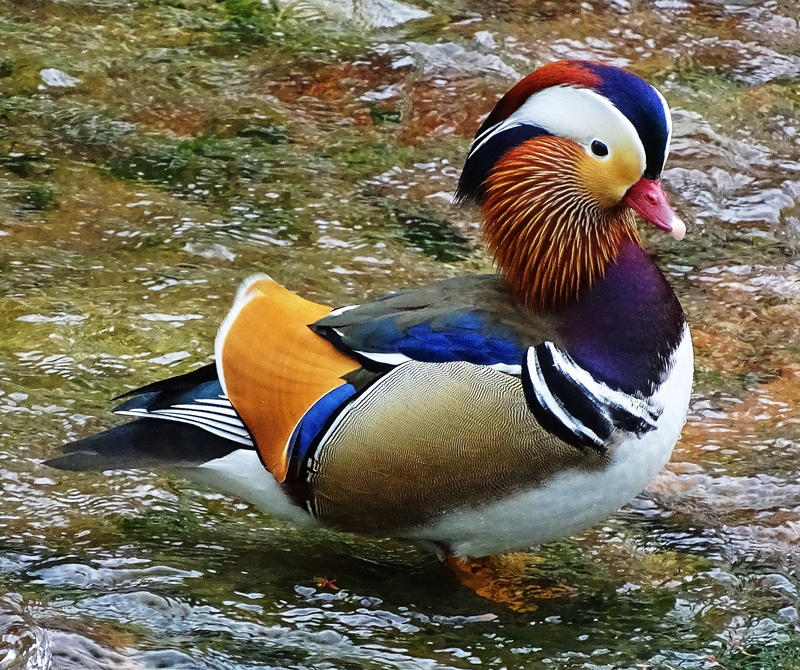 but the Mandarins got in my way! 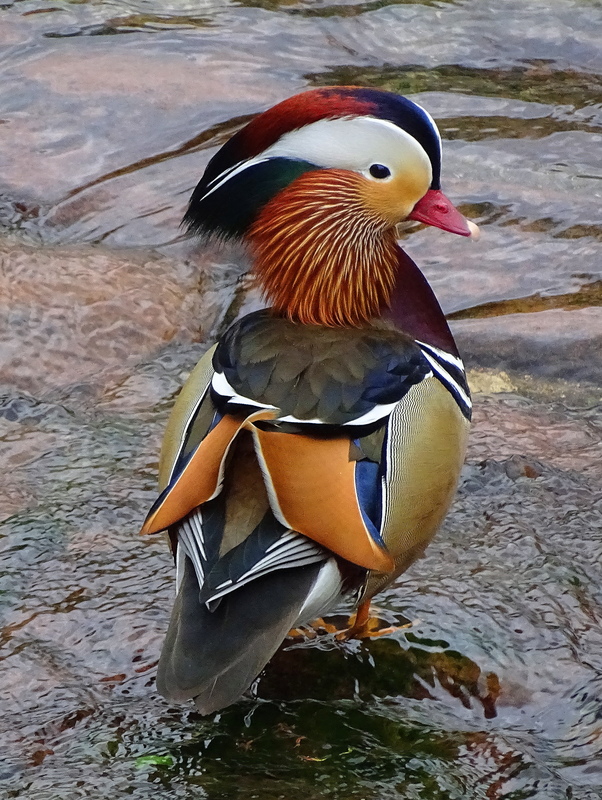 Why are Mandarin Ducks swimming wild in Germany you may well wonder? 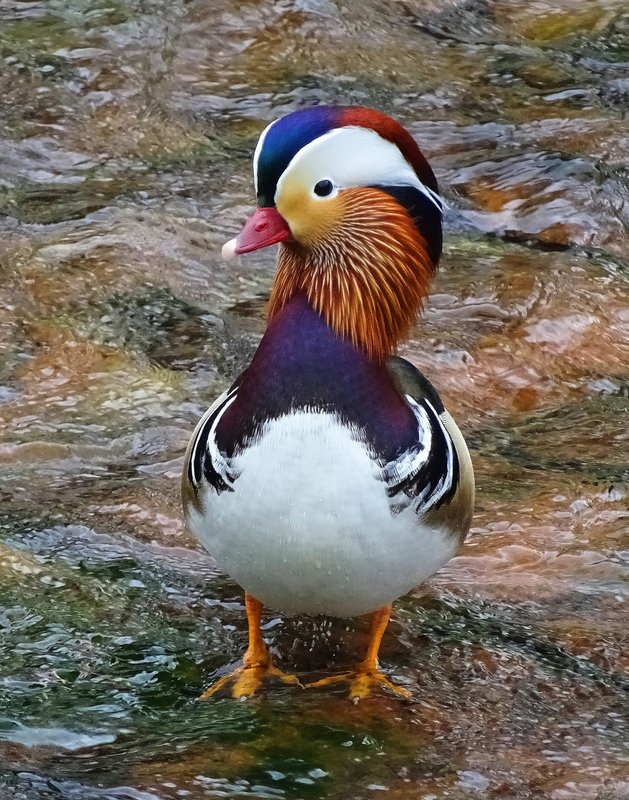 Although Mandarin Duck populations are dwindling in their native Russia and Asia, some escapees from captivity are breeding in the wild in Germany and The UK. 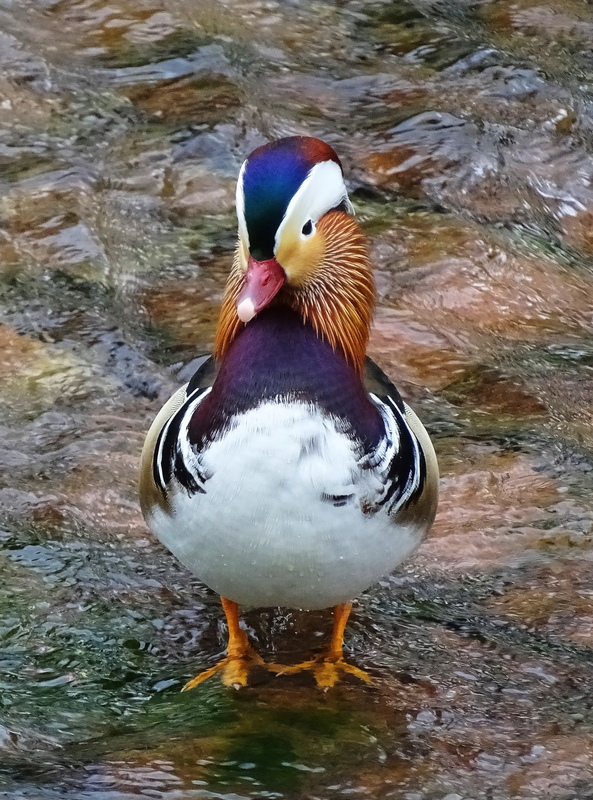 I happened upon these guys today on the Oos River in Baden-Baden Germany. Gorgeous! 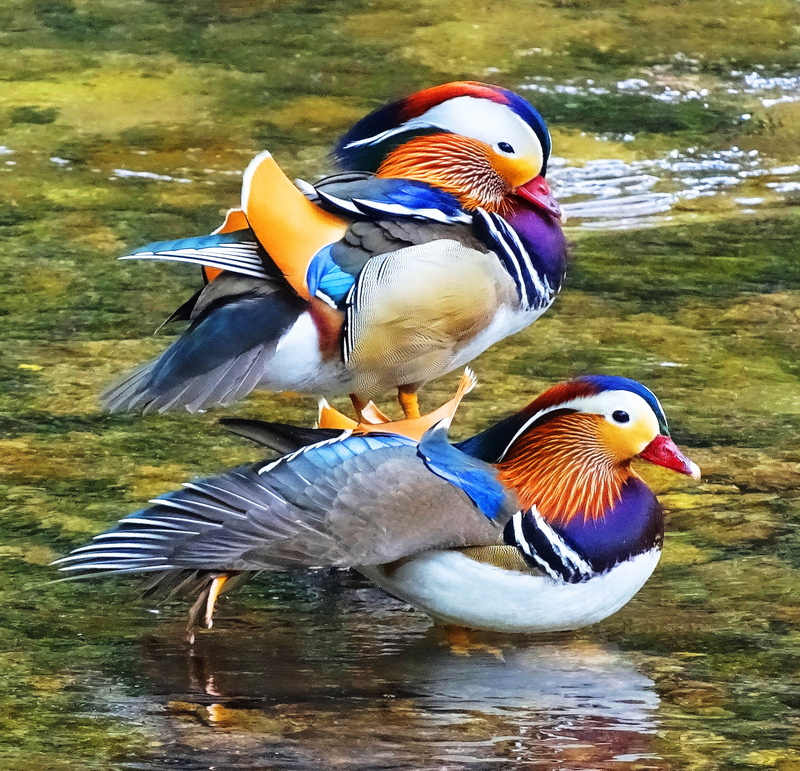 The colorful feathers make the birds look proud! I clearly got the sense they know how gorgeous they are! Indeed! And that’s really a beauty! 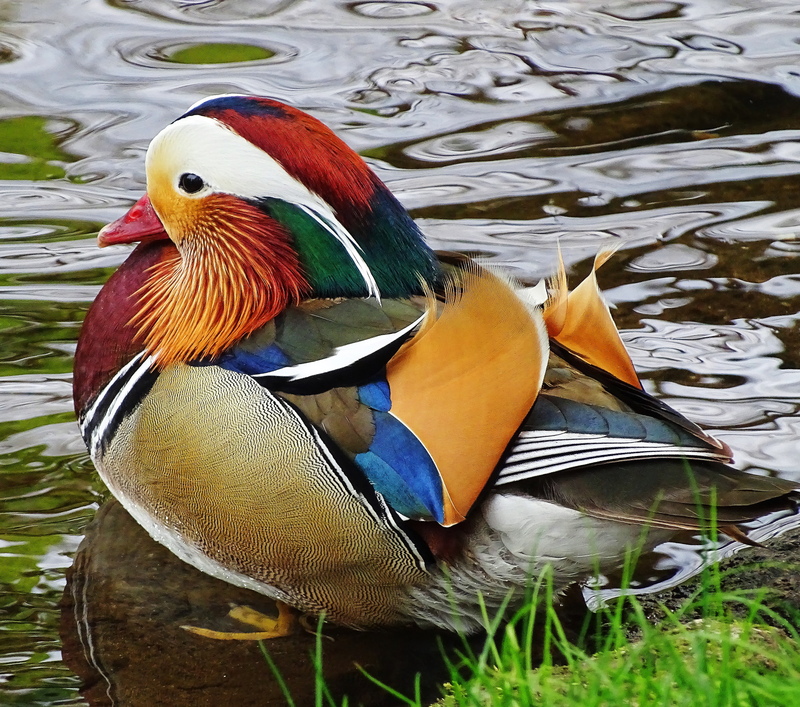 Unbelievably gorgeous birds and great photos capturing their beauty. Your thoughtfulness is most appreciated!